Today I received a Christmas card from my brother Matt and his partner Ashlee in the post, inside was a wonderful picture of them both along with their wee dog Cruze. While the card isn’t handmade the written words inside bought tears to my eyes and reminded me why I make and send Christmas Cards each year for those special people in my life that mean so much to me. 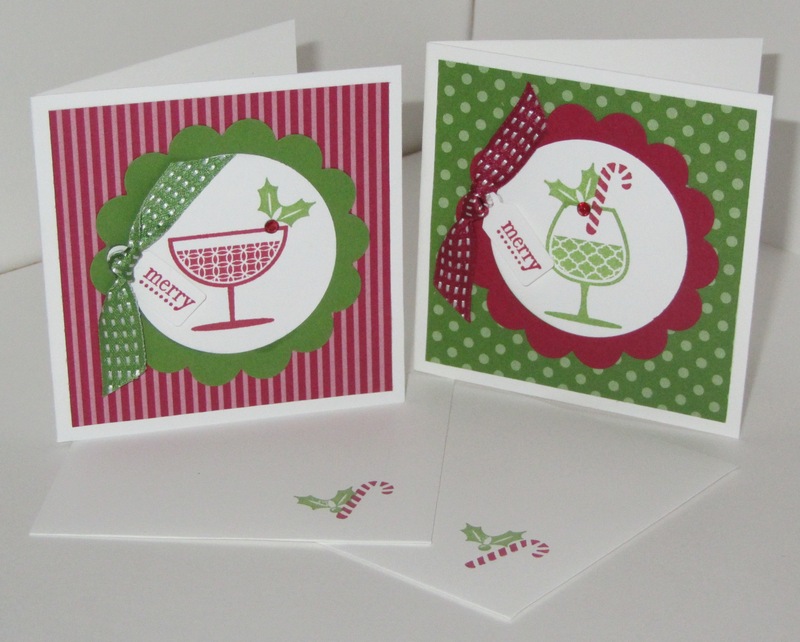 Thank-you to all of you who have sent me a Christmas Card this year – I really value receiving them. I have included below pictures of all the wonderful handmade cards that have been given to me, they have made the days leading up to Christmas so much fun! Wow! It’s hard to believe its December already. My husband is putting up our tree as I type this and I am enjoying listening to my favourite carols – Christmas is definitely in the air! I am feeling very festive at the moment – so every $50 or more order this month will receive a FREE pottle of our gorgeous dazzling diamonds glitter. Email me on anna.mathieson@xtra.co.nz to place your orders. The final order date for guaranteed delivery before Christmas is Tuesday the 11th of December. 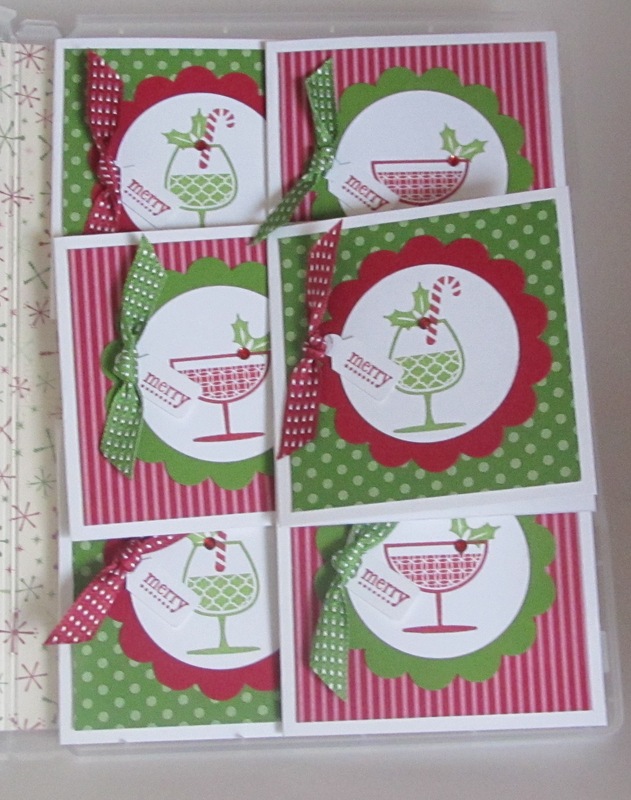 Need a gift for the crafters in your life? If you are looking for that perfect gift for the crafters in your life I have gorgeously presented gift vouchers ready to go. I can personalise them with the value you choose and deliver them straight to your doorstep ready to pop under the tree. Separate compartments within the storage compartment keep your tools organised, and the clear cover makes it easy to see what you’ve stored. Would you like to receive an advance copy of the wonderful Sale-a-bration brochure showing the gorgeous items that will be available during 22nd January – 22nd March next year? Drop me an email at anna.mathieson@xtra.co.nz with your postal address and I will send you a copy along with a special VIP coupon so that you can come to my first class of 2013 FREE! A couple of you have asked for some christmas tag ideas and while these aren’t christmas tags – they are cute 3″ christmas cards with matching envelopes and they are super easy to put together and then slip under some ribbon on a wrapped gift for Christmas. Cool tip: To create the red jewels for the berries on the holly I just used my red sharpie to colour in our rhinestone basic jewels and they worked a treat. I actually made another big bunch of these to send to a secret sister and packaged it in one our clear mount stamp cases (page 7 of the annual catalogue). 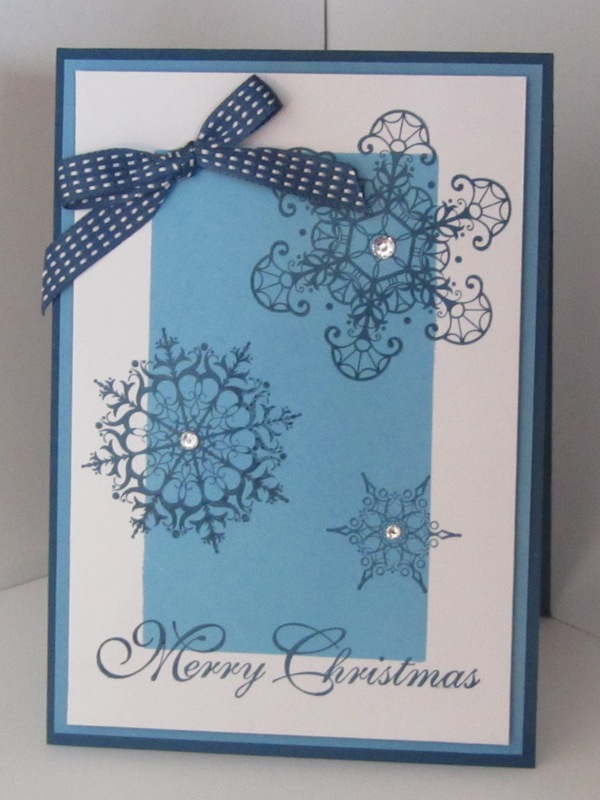 This paper is from our ”Be of good cheer” DSP and the words are from our Merry & Type stamp set. And here’s the inside of clear mount stamp case.